Here is a mask for your sim which I get inspired from Jellal of Fairy Tail. 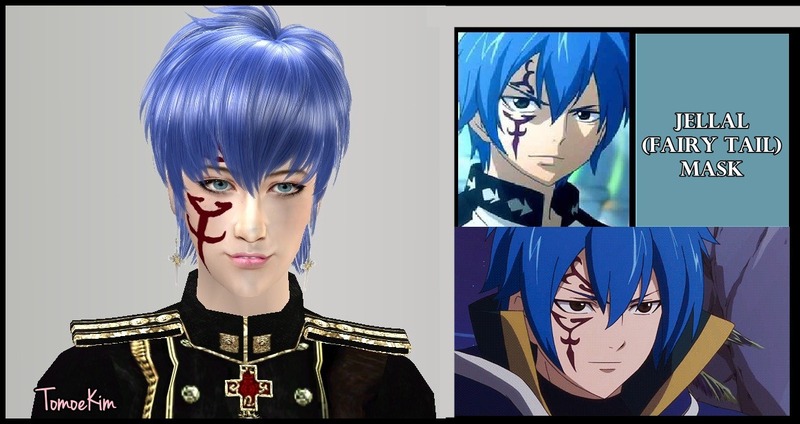 Jellal is basically a character from the famous shounen anime "Fairy Tail". 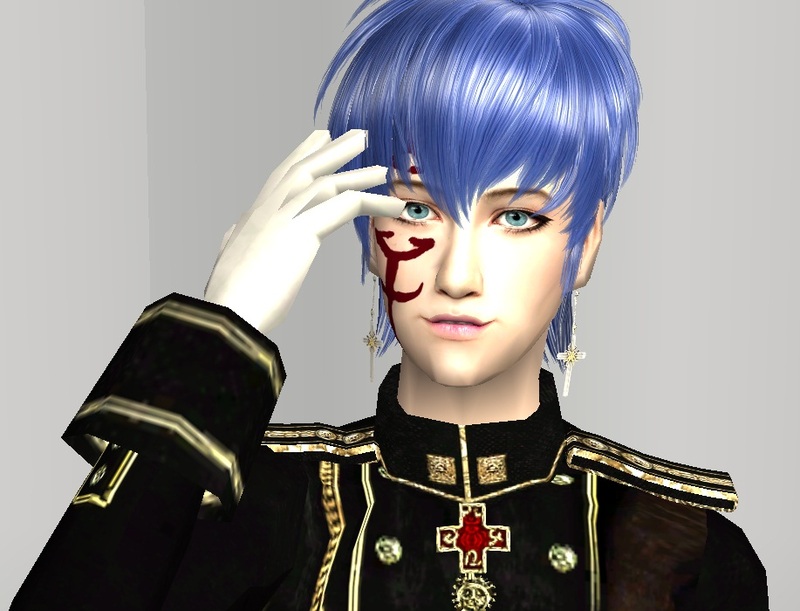 He is a young man whose most prominent features are his blue hair and a red tattoo above and under his right eye. 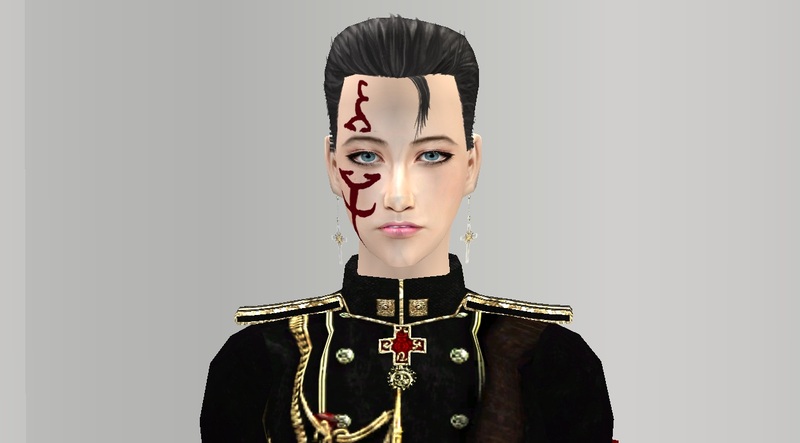 I tried to make that red-tattoo mask. This is the look in maxis hair where you can have a view of the full mask. NOTE This mask can be found under "Costume Makeup" category and can be used for unisex. Thanks to FloraSims for the beautiful and handsome sim, MTS, B-FlySims for the hair.